Creating a DCP (Digital Cinema Package) for cinema and digital distribution of your feature film, short or trailer is now easier than ever. But it’s not as straight forward as you might hope. Yes you can do it yourself, but should you? In this post I take a look at some of the current tools for creating DCPs and some of the resources to help you check you’ve done it correctly. At the end of the day you can always pay someone to do it for you ‘properly’. The final part of this post is five pieces of essential wisdom on DCP creation, so be sure to scroll to the bottom! It’s been a while since I’ve written up a post on creating DCP (Digital Cinema Packages) files for delivery to film festivals and other distributors that require them. These previous posts are from 2012 and 2013! For a deeper explanation check out colorist Nikolai Walman’s detailed DCP explanation here. The official Digital Cinema Initiatives website, which outlines the official DCP spec can be found here. For a much more helpful read check out the detailed Wikipedia entry on DCPs here. The biggest takeaway was a unilateral agreement from Sundance and SXSW reps, Eddey, and Allen for indies to steer clear of encryption for their festival DCPs. Since the complex encryption keys are linked not only to the theater but the individual projectors, one wrong number or a sudden change in venue can dismantle an entire screening, sending festival staff scrambling and filmmakers into a nervous breakdown. Lastly, this useful piece of advice comes from this detailed Filmmaker Magazine article writing up a Sundance supported workshop for indie filmmakers. The whole thing is well worth a read. What is a DCP and What Does it Take to Make One? These days you should always make an SMPTE DCP. Making DCPs? The older flavour is InterOP DCP, the newer is SMPTE DCP. You can do this yourself, I’ve done it myself…. however unless you want to get really good at it, I’d talk you out of it. The only way to really check that you’ve encoded your DCP correctly is to check it on a cinema projector which means that you need to hire out the cinema to do this. Charles says it took him four times to get his DCP correct and after renting the cinema four times he could have spent less on paying a professional DCP company to make it for him. He recommends Simple DCP but in putting together this post I’ve also come across Cinematiq, The DCP Master and DCP Publisher from EasyDCP. There seem to be a lot of sites that offer this service, so definitely check out to compare prices and reviews. If you’re in any doubt, ask the festival you are looking to submit to if they’d recommend any particular DCP suppliers. These days you can get your hands on a lot of different tools for creating, reviewing and sharing your DCP. Here is a quick list of some of the paid and free options available today. If you want a forum thread with a bunch of colorists from around the world discussing various DCP options, check out this LiftGammaGain thread. Endcrawl has a useful post on the correct frame sizes for post production and finishing here. Cinematiq are a professional DCP creation service but they also make a handy new app called DCP-Transfer. DCP Transfer helps you to create properly formatted EXT2 drives to send to film festivals, having validated that your DCP is complete and not corrupt. This means you can make as many copies as you like from DCPs you’ve created yourself or had a professional service create for you, which is particularly helpful/cost effective if you’re sending your film out to lots of festivals. There is a helpful and very accessible user guide to help you get started with DCP-Transfer here. Going forward we will be changing the pricing structure for the DCP Transfer software to a subscription model so we can devote more resources to customer support, bug fixes, and feature updates. An annual subscription is now $150/year and a monthly subscription is $25/month. You can still save 10% with the coupon code: “JONNY10”. @dickij10 @MNS1974 wow. Look forward to distributing feature DCPs on these. I found the last section of this Cinematiq blog post about DCPs particularly helpful, because it points out that due to transfer times you’ll either want to load your final DCP onto a CRU drive, or at the least a fast Thunderbolt or USB 3 drive. There’s nothing special about it except that a CRU drive can slide directly inside most digital cinema servers, instead of connecting over USB. This means that the drive is treated like an internal drive rather than an external one, and the end result is that the files can be copied much faster. If your DCP is 150GB, using a CRU can be ingested and verified in about 20 minutes, which is quite fast when compared to a USB 2.0 drive which might take as long as 90 minutes. Cinematiq also have some useful blog posts explaining DCP drive formats and how to create a 2 pop leader. If you’re looking for a place to download correctly formatted DCPs to test out (for some reason) then Michael Cinquin, who makes some incredibly useful tools, offers some free files here. Although when I tried these in DCP Transfer it did give me the error that the ‘Issuer’ was missing. NeoDCP Player is a DCP playback and review application that lets you quality control your final DCP and inspect it’s inner workings. It’s Windows only, so Mac users will have to find something else. It also comes in a slightly confusing 5 way split pricing structure, which you can peruse here. The basic plan starts at €99 and the Ultimate 4K edition is €1,799 with a diverse menu of options. Overall, NeoDCP is an extremely impressive software DCP player. It offers a significant amount of control over the picture, sound, and other technical aspects typically hidden by most media players at a price that is extremely competitive, if not destructive to its more well-known competition. You can download free 14 trial to check it out for yourself. DCPomatic is a free open source DCP creation software for Mac, Windows and Linux. Of all the open source projects it appears to be the most active and up to date with nearly 70,000 downloads last year and an update as of May 2017. There is a very detailed and helpful User Manual here. It is possible that in future DCP-o-matic will be accelerated by running the JPEG2000 encoding on a graphics card. If that happens it may be more cost effective to spend money on a fast graphics card than a fast processor. As it stands, though, the priority is the CPU. As it’s free there’s no reason not to download it and give it a try on your system with a test clip to see what kind of results you get with it. EasyDCP offer a suite of DCP creation tools and plugins that all come with a set of hefty price tags. To many EasyDCP is considered the ‘industry standard’ DCP creation tool. In another move that will definitely benefit indie filmmakers and other creatives who aren’t regularly making DCPs and so can’t justify a license lying around unused, EasyDCP will be launching DCP Publisher. This provides a pay-as-you-go model through a cloud-based/local software process. This allows you to create and playback your DCP whilst only paying a fee based on the final duration of the encoded content. The fact that it says there is a ‘strong local component’ probably means that the processing happens on your machine, it would be better if it was shipped out to a render farm! You can sign up to ‘stay informed’. Open DCP is another free and open source DCP creation tool. From the OpenDCP website it doesn’t seem like all that much development is happening with it, yet the dcinema.com forum is quite active on it. OpenDCP is available for Mac, Windows and several flavours of Linux, which makes it very accessible to everyone. FinalDCP is one of a collection of apps from Innovative Pixel. The image above tells you what they have to offer, with FinalDCP being the actual creation software. A license for FinalDCP will set you back €1,499 but comes with 5 ‘worker’ nodes for network rendering and a year of ‘maintenance’ support and updates. The feature set of FinalDCP does seem to be one of the best in this list (or maybe they just have a better website!) with the inclusion of scopes, batch processing, frame rate conversion, reel editor and digital cinema naming conventions. There is a free version of FinalDCP but it’s essentially for testing out the features and setting up networking rendering. CuteDCP is a plugin for Premiere Pro and After Effects which allows you to create DCPs inside those apps. It’s a fully featured DCP tool, being able to handle various frame rates as well as stereoscopic and HFR. It’s also one of the cheapest paid for plugins on this list at €149. DCP Tools for After Effects is a further plugin which allows you to tweak and modify the inner contents of your DCP. There is also a detailed 11 minute tutorial breaking down the individual files inside a DCP. I’m sure you are anxious to hear how about the quality of CuteDCP encodings, aside from its features. It was a major concern of mine, seeing the significant cost difference between it and other encoders. I’m happy to report that the quality was just as good as several other higher end encoders I blind tested, many times to the extent I could not tell which application encoded the DCP during a screening. This post from Cinetic Studios gives you a full run down of using CuteDCP as an affordable DCP creation option, as well as a review of the final output. Wraptor DCP from QuVIS comes two flavours, a free lite version and a paid for or rented Pro version. 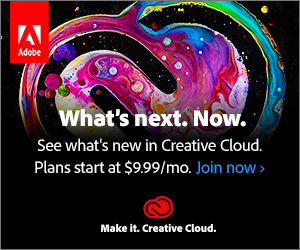 In the free version you get with Adobe Premiere Pro you are limited to a 2K export. Check out the video tutorial below to see how to do this. In this short video tutorial from Colin Smith of VideoRevealed you can learn how to create a DCP inside Adobe Premiere Pro using the Wraptor DCP plugin from Quvis. Every version of DaVinci Resolve since version 10 has shipped with a trial version of the EasyDCP plugin, for exporting a DCP straight out of the app. The trial version is limited in the following ways. The 2 minute tutorial above demonstrates how to export a DCP from Resolve. It also talks you through the frame size options. Colorist Robbie Carman from Mixing Light.com has shared the first in a series of articles about delivering DCPs for clients. In this post he talks you through using EasyDCP to create a DCP in Resolve and some of the things you need to be aware of getting into it. Robbie starts the article by describing how much work he was turning away initially, being too afraid to wade into the DCP waters. If that’s you, this post will help! The premise of this Insight is quick and painless DCP creation. I contemplated an entire article about DCDMs, PKLs, CPLs, KDMs (add your acronym here), instead I felt like diving in with the most simple tool first. Some of you have the need for more advanced DCP authoring (and we’ll talk about some of those tools in later Insights). But most of you are probably like me – an indie film or doc needs a DCP and you just want to bang it out without too much thought. If you’re not already a Mixing Light subscriber you’ll need to sign up for a free 24 hour test drive. In this short tutorial from Gabi Basalici you can learn how to make a DCP for free. Audacity to convert the ‘frame rate*’ of the audio (-4% shift from 25fps to 24fps). [*Audio doesn’t have a frame rate, but you get what I mean]. OpenDCP to combine the assets into the final MXF package. Aaron Owen from Cinematiq.com, creators of DCP Transfer, was kind enough to take the time to answer my question on what are the most common mistakes they see people making when preparing a DCP for the first time. 1. Audio not mixed according to cinema levels. This is a big one. Even if you go to a professional mix house and mix with an experienced audio engineer, they need to be familiar with mixing for theaters. This means calibrating your mixing environment to match cinemas with an SPL meter and pink noise. Why? The volume in the cinema is much louder than your average TV or computer, and thus it’s normal for dialog to be mixed very low. This gives a lot of room for dynamic range (all those explosions and loud music). If you mix like you would for TV, Radio or Internet, your mix is going to be far too loud and may cause issues during playback. Sticking with the audio theme, we see a lot of projects come through with stereo audio. This presents a couple of issues when it comes to theatrical playback: the first is that in a large room, people on the left side of the theater will really only hear what’s coming out of the left channel and those on the right will only hear the right channel. This means that if you have dialog coming out of both left and right channels, you could get some slight echo or phasing. The larger the room, the larger the problem. The other problem with using stereo audio in a DCP is that the actual speakers are meant mostly to reproduce music and sound effects and not dialog. This means your dialog might sound a bit muddy. To avoid these issues, you can use a cinema audio format. The AMPAS guidelines state that accepted audio formats for Academy consideration are mono, LCR (left, center, right) and 5.1 surround. If you’re mixing in stereo, then I’d suggest switching over to LCR which means that you put all of your dialog on the center channel and keep music and sound effects on the left and right. •using the full container of 2048×1080 as the final output for the film which results in a 1.9:1 aspect ratio which is close to flat, but will result in either some noticable cropping top and bottom when projected in scope (fit to width), or slightly less cropping on the sides if projected in flat (fit to height). In either case, you’re not gonna see the full raster unless you pillar or letterbox it optically with the projector lens. •Putting a “scope” film in a 16×9 letterboxed 1920×1080 container. If you author the film using the flat container of 1998×1080 and don’t scale, you’ll have black on the top and bottom and on the sides, plus you’ll be using the wrong container type for the actual aspect ratio of the film. If you want to use the scope container, you’ll have to digitally scale the picture up slightly to 2048×858 which results in a loss of quality. For most film festivals, subtitles should be burned into the picture if the film is not in English (or the presenting country’s language). Unless the festival specs say otherwise (like Cannes does) subtitles should be burned in to avoid any playback or compatibility issues with in-projector rendering. While we’re at it, ALWAYS place subtitles inside the picture area. I’ve seen some strange stuff happen when the film is 2.39 inside a 16×9 container which means that it’s letterboxed. For some reason, many filmmakers think that this means that it’s ok to put the subtitles in the black letterbox area. All this means is that when you author the DCP, you cannot use the scope container like you should which means you’ll increase the likelyhood of the projectionist messing up the framing and either masking off your subtitles or projecting with both the letterbox and the pillarbox. This one is probably the most common for DIY folks. They don’t take the time (or expense) to take their DCP into a real screening room or cinema to check that what they are putting on-screen is what they intended. Sometimes the first time a filmmaker sees their DCP is at their festival premiere which is both nerve racking for them, and embarrassing if anything should go wrong (improper framing, or wrong audio levels, etc). To make this whole process of creating delivery drives or making copies of DCPs, we created DCP Transfer which allows non-technical folks to format, copy and validate that the DCP copied correctly. There’s also a handy Package Inspector where you can get info about the DCP like frame size, frame rate, audio format, aspect ratio, conformity, encrption status, etc. We think it’s a pretty essential tool for today’s indie filmmaker. Great article. We faced this challenge when producing content for the Mill Valley Film Festival. Thanks for the mention! Aside from the applications to help produce DCPs, many smaller posthouse, such as Cinetic Studios http://www.cineticstudios.com , create DCPs for festivals. Great article ! Here at the Stockholm College of Dramatic Arts, we train our students to make their own DCPs. We have the easyDCP plugin for Resolve in our grading and mastering rooms and recently have been experimenting/testing the Wraptor plugin installed with our Adobe Premiere licenses. Fortunately, we have a cinema projector with which students can load and test their DCPs. Over the course of several work exercises, students get comfortable selecting the proper aspect ratios, assigning the proper audio, understanding the naming composition, and having the correct drive for ingesting. Wonderful practice. 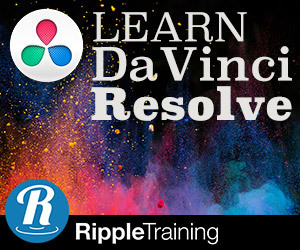 Would you please enlighten us according to your practical & students experience through using both Adobe Premiere and Davinci Resolve, which yields better DCP? Thanks in advance. hi! making solid DCPs got a lot easier. you only need davinci resolve 15, it has a new and free DCP importer/exporter built-in. it’s half the speed of easyDCP but does everything else just right! it uses KAKADU j2k libraries and converts color space automatically. the only software besides easyDCP creator to NOT produce warnings and errors when checking it for syntax-mismatches (with e.g. easyDCP player or a cinema server). so at least on mac you only need DCP TRANSFER (not available for windows) on top of that BUT they switched to a subscription model now and killed the initial $25 bucks purchase sadly.